The trailer gave me chills! 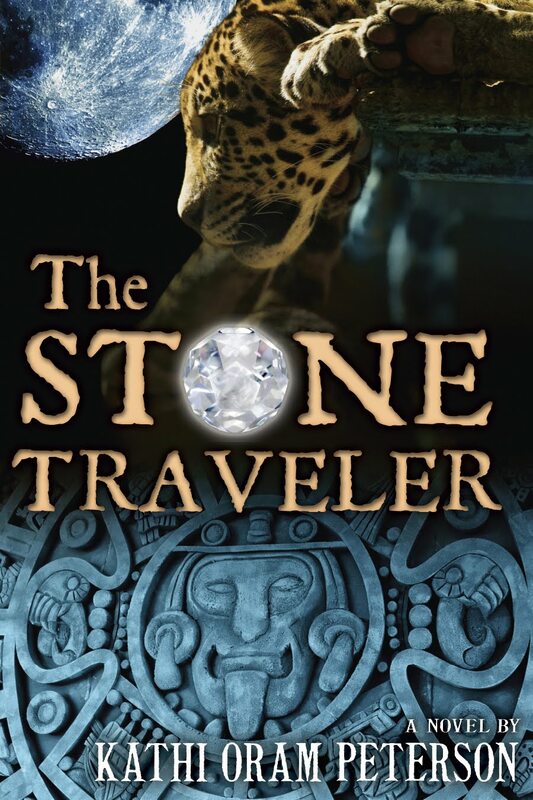 *Join The Stone Traveler - Blog Tour Contest! Important rule: Leave a comment on "every" site on the tour. Monday through Friday commenter names will be collected from the blog tour. On Saturday, a name will be drawn to win a prize that includes a very cuddly toy jaguar; a stone necklace, and chocolates with the flavor of South America--real cacao and chili. The winner will be announced on the following Monday. 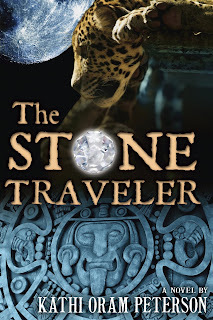 The GRAND prize for The Stone Traveler blog tour will be a (drumroll, please) Kindle. The cutoff to be eligible is midnight on September 30. The winner will be announced October 4th. If you find the tour midway through and want to participate, you can still go back and comment on every blog simply by going to www.kathiswritingnook.com. Starting in September, the sidebar will list each stop on the tour as they are posted, making it very easy to click to any of the sites and leave a comment. AND even if you've already won one of the weekly drawings, your name will still go in the jar for the Kindle. Good-bye isn't Forever . . .
Summer has flown by way too quick and now my kidlets must return to school very soon. This makes me sad. There are tons of changes they are making. Their beloved elementary school was voted for shutdown and they are starting a new school. They can no longer walk 5 minutes away, but we must carpool over 10 blocks down (40 minutes walk) now. I know they will make twice as many friends and start fresh with new teachers and the principal--I'm trying to be optimistic. My teen girl is going to middle school and no longer needs to use the bus. The walk is about 15 minutes away. I do worry for her and hope she can find a buddy to walk with. As for my preschooler, well, he's going to the same school (thank goodness for a bit of familiarity). I hate to say this, but I need to take my online time and apply it to my family. I feel as if I've lost part of myself here at home as well as my writing. I feel like a leaf tossed in a wild wind. I plan to give myself a good month (about the 21st of September) to rehabilitate my meness here at home. I promise I'll be back soon--maybe sooner. I'd love to throw a party or contest--something--when I get back. 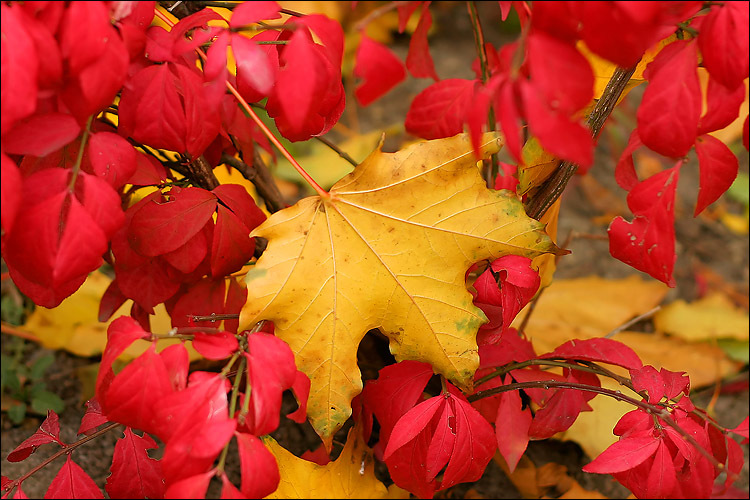 Thanks for your friendships, and have a great month! PPS--you can stalk me on Sundays at Mormon Mommy Writers--I've auto-scheduled it for the month! Guess That Character Blogfest (day 2)! Okay, so today we are to reveal how our character looks like by posting a picture along with a short description of their personality and who the person was that guessed closest to it! I'm sorry I didn't specify which character (until later) for you to describe, so I'm indulging myself in treating you with BOTH portraits. I couldn't find a picture online after hours, yes, hours of searching. So I drew both of them up. This is the lovely, fiery Athikah, Khandra citizen. She is the queen's maidservant assigned to serve the newly acquired slave. She is serene and polite but feisty if needs be (don't tell Aldrek that she's also a warrioress!). She has green eyes that shames the newly born spring leaves and every color of the sunset woven into her long, flowing tresses. 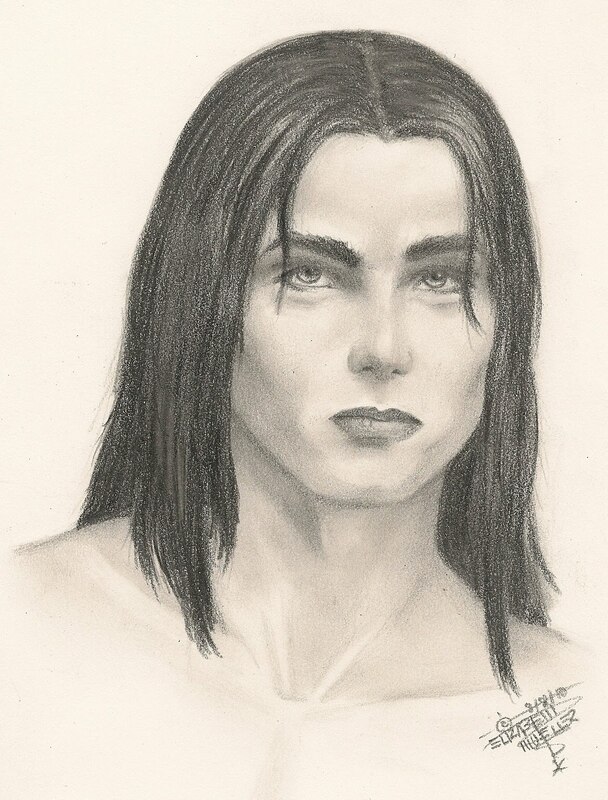 This is Aldrek, prince of Grishdun, enemy to Khandra. He is arrogant, powerful and hotheaded. He practiced swordplay since childhood and renounced his crown so that he could be free to pursue his quest of vengeance. He believes he could conquer the great nation of Khandra at the cost of his loyal army, but learns too late that his throne is desired by another. His hair is blacker than the night, his eyes tempest gray. Most of my bloggie palz guest correctly on Athikah's appearance, great going! 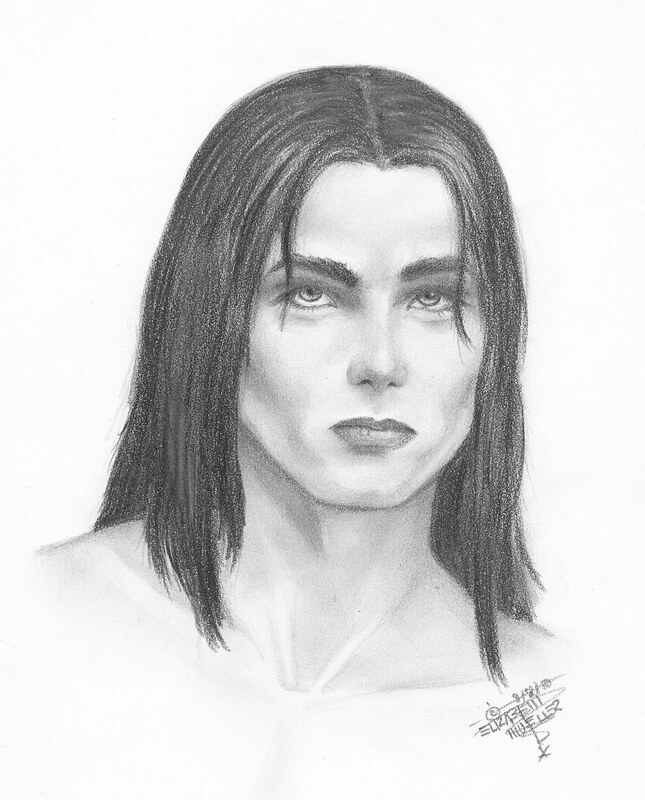 Aldrek is tall, with dark hair and smoldering blue eyes. He has a square jaw and a commanding demeanor. Accustomed to being obeyed, he is either a powerful lord or an officer in the army. The girl is fiery, and so I see her with dark red hair and defiant, brilliant green eyes. She is tall, almost tall enough to look Aldrek straight in the eye, something he is not accustomed to in a woman. How exciting is the unmasking???? Let's hurry on over and gaze at all them lovely headshots of our MCs in this wondrous blogfest! The creative Jennifer Daiker is hosting today's FEST! Wow, this is going to be a blast. I love this, thank you! ;) Don't forget to visit all the other entries! 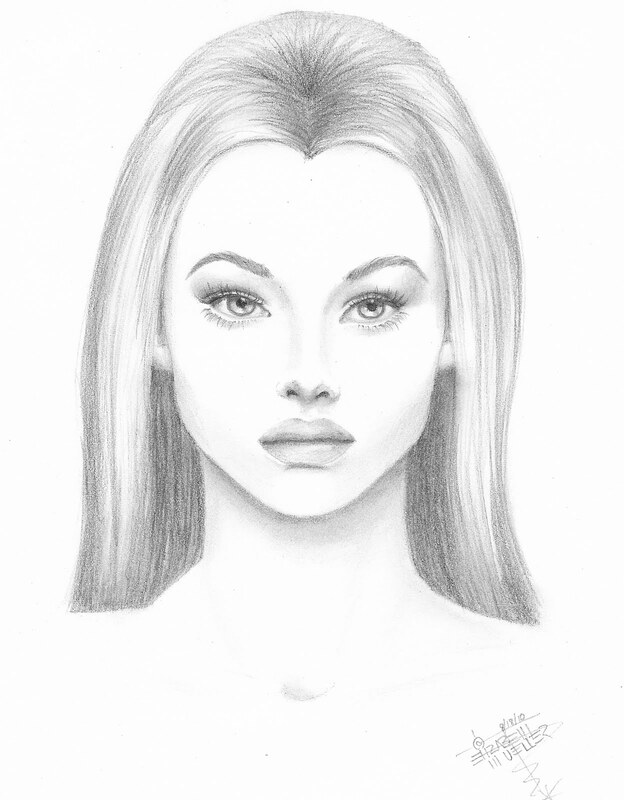 Today: We are to post a snippet of the character we'd like to be identified, without any descriptions. This is based purely on voice, action and personality. Tomorrow: We see who was the closest to guessing how the character looks like according to a picture I post. Fun!! Her venom stung Aldrek into silent shock. He watched her spin around and vanish behind the door. Before she could melt within the darkened shadows, he reached to pull her back to him. Instead, he caught the flowing material of her mantle. He gazed down at it. It swirled with the breeze that eddied around him. Mocking. Like a maddened fool, he brought it to his nose and inhaled her alluring scent. Aldrek did not know whether to be angry by her insolence or thrilled by her opposition. Whatever drove her away; he would soon unearth and conquer. For does not every woman eventually fall to her knees in humble submission? She would be no different. There you go! It's time to leave your thoughts on how you imagined Aldrek to look like. Tomorrow is the followup to the blogfest on the reveal (picture and short description of his personality). 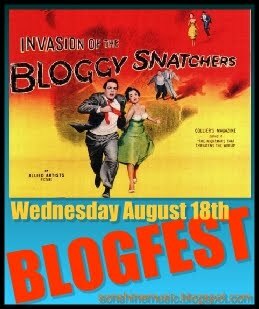 Invasion of the Bloggy Snatchers! Oh no! Head for the hills . . . The most cute and creative Rebecca Thompson has whipped up something fun and oh so irresistible! (Please go visit the other entries!) I find myself rubbing my hands together, a wicked grin on my face as I do my mad scientist laugh! Write a scene where you go to visit one of your blogger friends or they come to visit you. (kind of like Mia's post linked above) Maybe it's a holiday or on a really busy day or you just drop in and they're in the middle of something important like a bank heist or something. Write a scene where a bunch of blogger friends get together to hang out or for an event or to be interviewed on Oprah or something. Sarah Jayne Smythe did something kind of like this for her beach blogfest and it was really funny. Take a scene from a WIP and have some blogger friends invade it. Have them flirt with your characters or kill someone or interrupt everything or throw glitter around. Write a scene not related to a WIP where blogger friends invade it and screw up the plot. Or make it progress. I've decided to feature Rock Star (my YA contemporary novel) at an intense scene. Here, Moggie is furious with a band member (Mirah) for dumping a bucket of beer on him while he was messing around with a few groupies on the floor of her suite at a hotel after their last showing of the tour. "Mirah!" he howled over his stinging punches. The wood cracked. "Open this door, now!" Her muffled laughter boiled him. When blood itched his arms, he used his elbows. Lightning darts twanged his nerves. He swore. If only he had his boots--the balls of his feet just as useless. Who cared how stupid he looked in his clinging boxers. Or how his hair plastered his neck. Or how fierce he got in his frenzied rage. A pretty girl poked her head from around the bend. Her dark hair flowing like black silk. Moggie gazed at her, but his anger won. “I swear, I’m going to get you,”—he kicked and pummeled the door—“once I bust this open!” He had to get in and didn’t care how. He staggered off, in frantic search of something sharp. "Moggie?" The dark-haired girl said, her voice like music in a sweet dream. He stopped in his tracks and whirled around, his face confused. "You are not a groupie or a lovee." "My name is Rachna. Why are you so mad?" Moggie rolled his eyes and shook his head. "I've had enough of that thing in there." He jabbed his finger toward the closed door. "Surely she didn't mean what she's done." The rock star tensed, not caring to empathize with Mirah one bit. "I'm looking for--," but his sentence dropped when he saw it. There! Beside the useless fireplace, was his promising weapon. He dashed away, rammed into giggling groupies who streaked after Block, and swore. “Outta my way!” A slithery grin then split his face. Two pokers . . . even better. They were heavy and cold and deadly. "What the--!" Moggie dropped the pokers and rubbed his eyes. A soft giggle tickled the noisy air. A pretty girl held a camera in her dainty hands. "Whatcha doin here?" he roared, marching toward her. "Well," she tossed her hair from her eyes and smiled bright, "I invited myself." She punched her hand out toward him to shake his. "My name is Tessa Conte, as in con-tay." "Whatever," Moggie snapped. He pushed passed her, hefting the pokers. How he loved the feel of the weapons. Invincible. Euphoric. Powerful. A quivering rush flooded his muscles. He hurried to Mirah’s door and wedged a bar into the jamb. And pried. The gold molding ripped with a splintered crack. His laughter boomed—a horrible and wild sound. He strained until the fury gave way with a loud groan. "Me-ow!" The sharp cry startled him. He whirled around. A black and white cat curled around his ankles. He lifted his foot, ready to punt the thing across the room. "Oh, I dare you to do that," a honeyed voice rose from behind. Moggie closed his eyes and breathed in sharp, stilling his nerves. All he wanted to do was get in there and show Mirah a thing or two. "Or what, lady?" he shouted. "Charlie, leave the old hippie alone, darling." "Hippie? Look lady," he charged toward her, the pokers in hand not frightening her. "My name is Old Kitty." Moggie roared and stomped and writhed. A tantrum of a toddler. "What's with you people? I didn't invite anyone else but my groupies and lovees here." Old Kitty sniffed. "Come, dear Charlie. We do not need this abuse from a spoiled American." His fitful dance halted with those words, fire in his gaze. But the sound of the door creaking open snared his attention. Forgetting the lady and her cat, he twisted around. He admired the havoc he reeked upon the door with his bars. The handle sagged like a worthless eyeball from its hole. Then he remembered his beer soaking clothes and hair. Heat coiled up his throat and exploded with a shout, his foot through the door. It bounced off the wall, stopped with his bar, and shattered in half. He twirled the pokers like handguns in the Old West. High on the murky loft perched Mirah. His temples throbbed. He stomped forward, blinded by ripples of anger. "Uh, excuse me?" a strong booming voice cut through his patience. "What!" Moggie shrieked, spittle spraying the man's bearded face. "That wasn't right." The man blinked one eye and gazed at the ceiling, his fingers in his whiskers with thought. "What?" the rock star felt his hands trembling, his knuckles aching as he gripped the pokers. "No," his chuckle grated Moggie's last nerve. "No, it isn't what, but how. It is how you said it. It isn't right. It isn't proper to say, 'I don't want you no more.' You say it like this," the man's eyes sparkled as he straightened his already erect back. "'I don't want you any more.' On top of that," the man reached through the computer screen and ripped the manuscript from Elizabeth Mueller, "the author has too many incomplete sentences, short sentences, I actually got lost in the words she used." He smiled, shaking the manuscript under Moggie's incredulous face. "Sorry, I can't help it, my hands itch every time I come across something that needs to be edited. Look, you can even see the hives forming." "Who the %$#&*@ are you?" Moggie felt fire lick his face, his eye twitch, spine shiver. "Andrew, my dear fellow, Andrew's the name." He smiled, turned around and faded off the stage. A skip in his gait. There you go! LOL. I had so much fun writing that. I hope you enjoyed it! Don't forget to read the other fun entries! PS--I don't know how other bloggie friends put a "continue reading" link so that the post looks short. So I cheated and did it a weird different way. Click here if you'd like to read the original version! I really love this song--it stirs my muse's imagination to the point that I can feel magic zipping in and out and through me! What's your muse's favorite music? Hello, let me re-introduce myself . . .
My name is Elizabeth Mueller and I am a writer. Whew, that was the hardest confession ever. Just kidding. More like the biggest ego-puffing thing I can ever say besides the fact that I have such lovely kidlets. There I go again . . . Okay, well, I grew up in the hot, little corner of Texas. It is the most western point if you look on the map. El Paso. My family was poor. Poor. Poor. Okay, not that poor, but poor enough that my little sister and I spent hours illustrating hundreds of pages of stories. (Yes, we even drew way into the wee hours of the dawn!) Kinda like graphic novels with the bubbles and all. We surely let our minds soar higher than the clouds--beyond the galaxies. I've always loved living in my made-up worlds. I am goddess there. I create beings. I kill beings. I bring them to their knees. They do as I command. Alright, not all the time because these little characters of mine take on minds of their own and take control of the plot and create havoc a lot of the time until I feel that I've lost myself to the point that it sounds good as it is and shouldn't interfere anymore with my writerly wisdom. *Sigh* I know you know how that goes. Right? I've always loved writing. Always. Before I learned how to write, I drew stories. I've always been a story teller. By the time I collected 6 finished, unedited novels, I decided it was time to take it a step further. I've received a number of rejections thus far and now, am frantically polishing my WIPs for another submission. Hopefully that will do. You think? Here are some things to take your mind off of today's date--don't panic. "Writers aren't exactly people... they're a whole bunch of people trying to be one person." My hubby found this and showed it to me. *Sigh* It made me laugh!!! I promise to get back to my hand-drawn portraits of my followers, but this was way too rich to pass up! I hope you love it as much as I did. I love books so much and it would be entirely selfish of me if I didn't share the wealth! 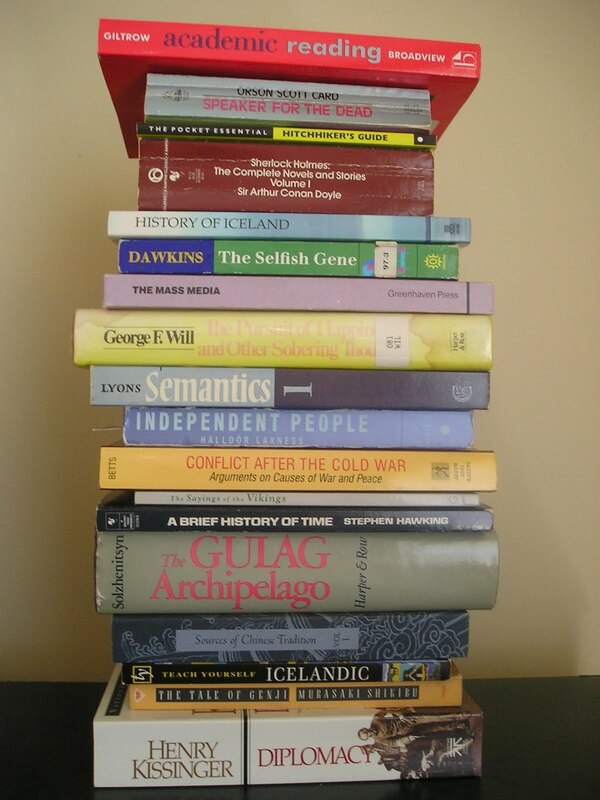 Here's a chance to win FREE books for a year, plus a $100 gift card! I'd like to thank every one of you who have joined my blogfest in honors of Sangu! 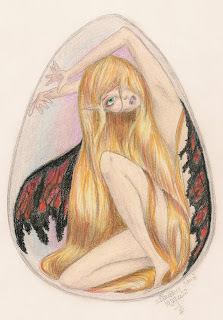 The following excerpt is from my fantasy novel, Heartsong, written 8 years ago. Lendour was exiled from his kingdom, cursed to to track down the wayward elfin princess and bring her back home. The elders of his realm erased his memory of his former self, and had transformed him from a centaur to a two-legged being. Here, he has awakened from his 'deep sleep' of change. Everything was deep and black. The only sensation he could feel was spinning. Spinning so intense he feared for his life. His arms jerked outward grasping for whatever he could find to hold himself still. Something wet and very, very cold gave way within his frantic grasp. Suddenly, an excruciating soreness enveloped the entire lower region of his body. He drew in his breath with a rasping wheeze. He quickly turned, heaving whatever contents his stomach contained. An unwelcoming wave of stomach churning slashed through him. Lendour moaned. His insides feeling as if someone had sliced him open, and poured liquid fire down. His numb hands reflexively covered his throat, and he could feel them freezing upon his prickling skin. What in Gyndour’s name was happening to him? He rolled onto his side, feeling a frigid wetness seep through his clothing. Where was he? The tormented Sylventuarian dared to open his eyelids as the soft glow of white violated his susceptible eyes. He groaned once more. He lay still, tuning his fine hearing to that of a gentle flapping of material in the biting breeze. What could that be? 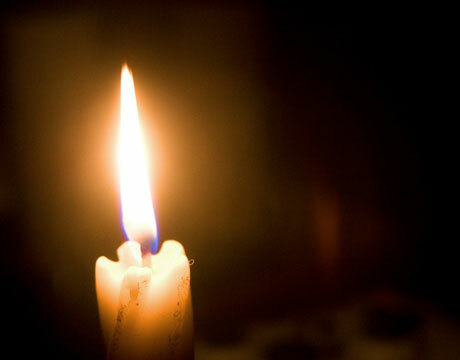 He tried his sight anew, but this time fully expecting the onslaught of brightness. His surroundings were a dim blue with white as floating flecks caught in his lengthy lashes and fur-lined hood that covered his throbbing head. The moon was full, like a ghostly disc silently hovering, its pale beams breaking forcefully through snow-engorged clouds that yawned lazily above the horizon. Lendour staggered to his feet, strangely expecting the feel of overpowering strength and sinew in his legs. But he did not. Rather, they trembled and he tumbled face first into the deepening snow. He wobbled as he strove for balance upon hands and knees. Something was fiercely wrong, but he could not tell what. He cradled his head, accidentally throwing the hood aside. Soft long hair, reflecting the pale blue of the moon, tickled his face. He brushed it aside. He lifted his chin and noted a towering tent. Haughty and majestic, stabbing the open glen all by its lonesome. A dim light shown through its thick material as a small flag at the very peak waved about. With curiosity snared, the weary Lendour rose to his feet and clumsily lumbered to the object in focus. Clumsily? He analyzed his precarious position. Why did that seem such a novelty to him? He shook his head. So many bizarre things were occurring to him and he could not quite place it! With stubborn determination, Lendour brushed aside the haunting threat of the unknown and pressed onward to the extravagant shelter. Jocelyn Rogers is living comfortably in her little life surrounded by everything she could ever want. Good friends, a great job, and the nice city of St. George. That all changed with a single telephone call. The mayor of quaint little Milford Falls is distressed over the condition of a dollhouse cottage in his trim residence. Jocelyn must return and fix it up or he'll sell it. What makes it a hard choice is that she loves her life, but yet, she also loves the cottage, once belonging to her grandmother before she had passed on. 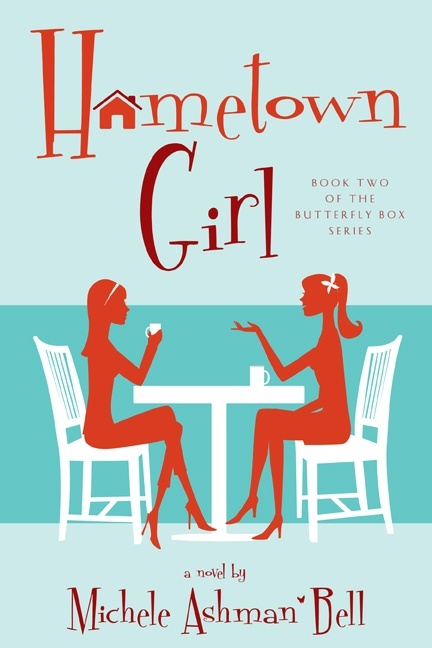 Encouraged for a fresh start and adventure, Jocelyn follows her friends' enthusiastic urges. This story is about growth, friendship, love, and forgiveness. Every character is vividly painted, realistic, yet lovable. They breathe their heart into mine, sharing their love, and secrets that whisper quiet strength to me. My favorite part is when Jocelyn finally finds the courage to move on, and realizes that the Lord loves her and that she can love others wholly as well. That part really brought tears to my eyes because I've been there, too! Michele Ashman Bell still amazes me with her perception of heart, love and courage and what it takes to reach across the pages of a book to touch the reader in so many ways. Enter her contest now for a chance at a $50.00 Visa gift card! Add this wonderful read to your library today (here or here)! Remember those awkward days of puberty? When your body's chemistry threw you in for several loops and you had to learn from ground zero all over again? Well, that's how I feel about finding time with my writing. Don't get me wrong, I LOVE writing with the passion. It's the blood that runs through me. But I can't help but feel lost, trapped almost, about it. Example: How can I stop feeling as if I'm indulging myself and neglecting my family as I edit? Editing is very challenging. I love challenging things, like a complicated math problem and the euphoria of finding the solution. Another challenge I face: a critique group. How can I keep up crit'ing others' stuff along with my own WIP? To add to the blow, I feel as if I'm hitting the reset button every time someone hands me their crits of my work, because on top of that, it's already a nonstop project for my own edits. I do know just how vital it is to have a group behind a writer. 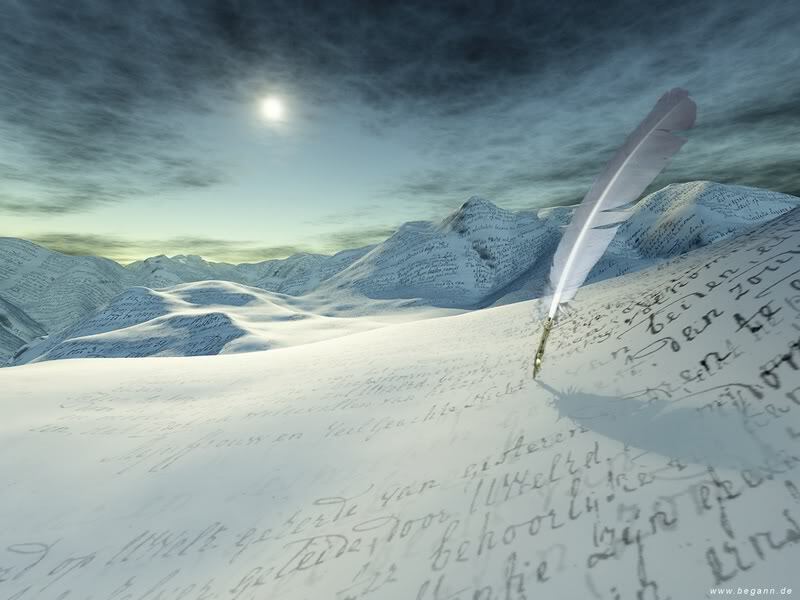 I know that there are lone writers out there too that have done just as splendidly with out. I want to pull my hair out! I know that it's all a state of mind, what I'm going through. I feel like an adolescent trying to find her way again but through writing life. Something I asked a friend of mine the other day that I would like to know from you. How do you crit others' work and your own with out dislodging your own need of completion? And when do you find time to do both?